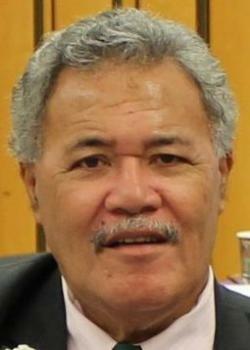 Tuvalu's prime minister has urged the international community to back up its Paris Climate Agreement commitments with action. Enele Sopoaga was speaking at a Small Island Developing States event in New York where he and other leaders have gathered for the United Nations General Assembly. Describing climate change as a security issue, he said there was a need to ensure that implementation of the Paris Agreement was verifiable. The Agreement, which aims to limit global temperature increase to well below 2 degrees Celsius above pre-industrial levels, was designed to protect communities most vulnerable to climate change impacts. Sopoaga said Tuvalu would not vote for any country which did not support climate change as a security issue and a permanent item on the UN Security Council agenda. He called for scaled-up financing for climate change, saying new climate finance must be additional to existing development assistance. “Existing development assistance is not climate change funding and should not be counted as such. Countries that caused climate change should pay for our efforts to adapt to the impacts of climate change and to help us reduce our emissions”. Prime Minister Sopaga said United Nations Climate Change Conference must recognise the undeniable linkage between climate change and security. He noted the increased frequency of cyclones and their impacts on security of small island developing states, citing the recent hurricanes in the Caribbean and cyclones in the Pacific. “For this reason, Parties to the Paris Agreement must take up the issue of security and climate change,” said Sopoaga. “Furthermore, climate change and security must be a permanent agenda item of the UN Security Council.”.